Sue Green hails from high-level management in the hospitality industry, where she has worked for over 20 years. Sue has been teaching yoga for the Shanti Yoga Health Institute Australasia since 2010. Sue Green hails from high-level management in the hospitality industry, where she has worked for over 20 years, and brings her successful employment history in training and assessment and passionate commitment to a healthy lifestyle to HIA. 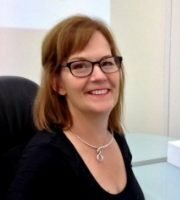 Whilst in Canberra, the Capital City of Australia, Sue has been involved in delivering training for the hospitality, fitness and administration sectors, working in the Fitness Industry from 2000-2010, including her employment as an Executive Officer for the Australian Council of Physical Health and Recreation (ACPHR). Before emigrating to the Gold Coast, Sue studied for her Arts/Science Degree from the Australian National University with subjects such as Politics, Cultural Studies, Psychology and Women’s Studies. Sue started her love affair with yoga in 2001 and has been a student of Shantiji since. Sue is now resident on the Gold Coast and has been teaching yoga for the Health Institute Australasia since 2010. In her other life outside Yoga, Sue works at the Library in Bond University. Health Institute Australasia is pleased to welcome Sue’s calm, mature and well-balanced approach to life and her multi-tasking skills and contribution to the lecturing team at Shanti Yoga Health Institute Australasia.